There's a wrap-up event scheduled on Monday for the #TVWSOPCircuit Series, and it awards more than just cash prizes for the top 10 percent of the field. There's "Chipleader Bonuses," handed out for the top stacks after various levels in the $250 Series Finale that starts Monday at Noon. -- Each of the top five (5) stacks after Level 8 receive a dining voucher good for a free buffet, $10 off at the Cafe, $15 off at Red Lantern or $20 off at High Steaks Steakhouse. 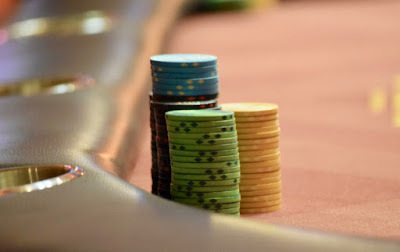 -- Be the top stack after Level 16 and receive the Thunder Valley VIP Experience, a $250 credit to High Steaks Steakhouse and one weeknight hotel suite ... yep, hotel suite. So, now that we know you'll be playing ... there's unlimited entries until the start of Level 9.